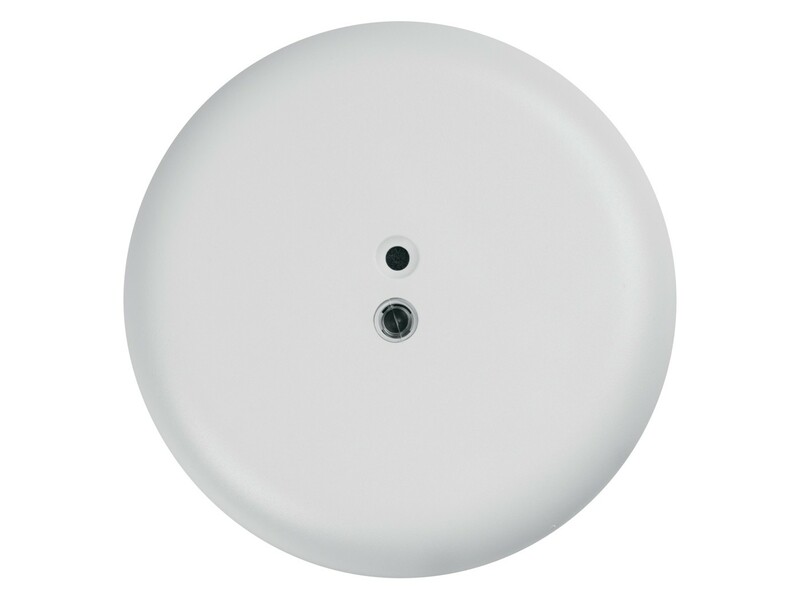 The 5812-RND detects in a full 360°coverage pattern, with a maximum 25’ (7.5m) radius from sensor to glass. Using the patented Pattern Recognition Technology, the sensor listens for actual patterns of breaking glass while eliminating most false alarm patterns. The 5812-RND listens across the glassbreak frequency spectrum for greater false alarm immunity.